Roll dice to escape from your Nightmares, or become one and terrorise your friends! A board game for 1-4 players, with 80 custom dice! 3,056 backers pledged AU$ 170,319 to help bring this project to life. 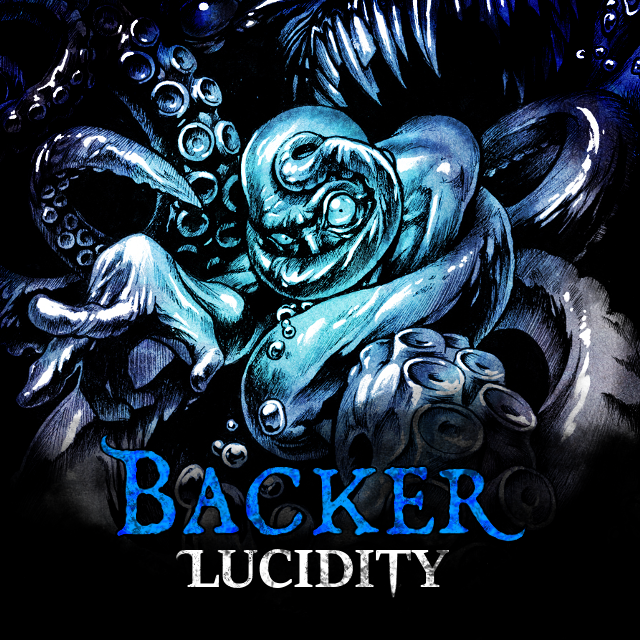 Lucidity: Six-sided Nightmares is a strategic press-your-luck dice game about becoming the right kind of monster. Avoid the pull of the shadows and escape untouched by the darkness. Or give in, become a Nightmare, and hunt down your fellow players. 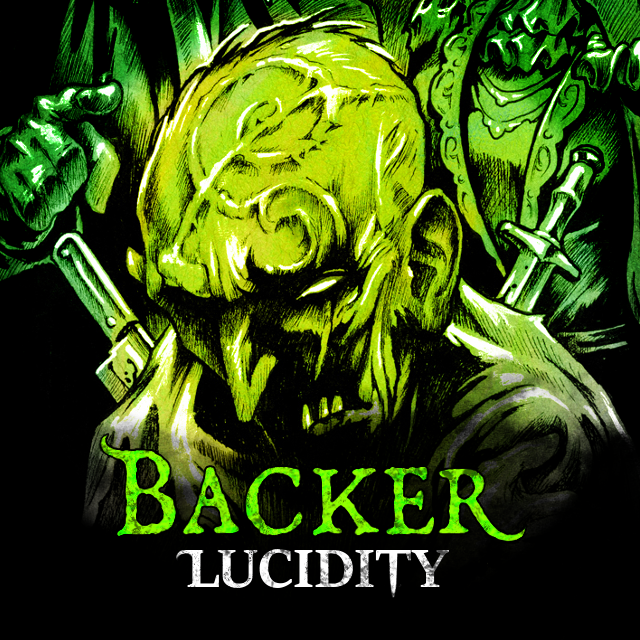 Become the bad guy: In Lucidity, being eliminated turns you into a Nightmare, offering alternative win conditions, special powers, and changing the flow of every game. The only way to be truly removed from the game is through choosing to roll the highest-risk red dreams. Reroll at any time: You may spend the power that you have collected to bribe the creatures of the dream world and reroll results you do not like. Strategic decisions: There are plenty of strategic choices to make, from how many dreams you choose to draw on your turn to whether (and when) you become a Nightmare. Play your own way: Each colour of dream has its own mix of custom icons, giving the four colours their own personalities. Be careful, though! Roll too many of one colour of six-sided nightmare and you may find yourself becoming one. 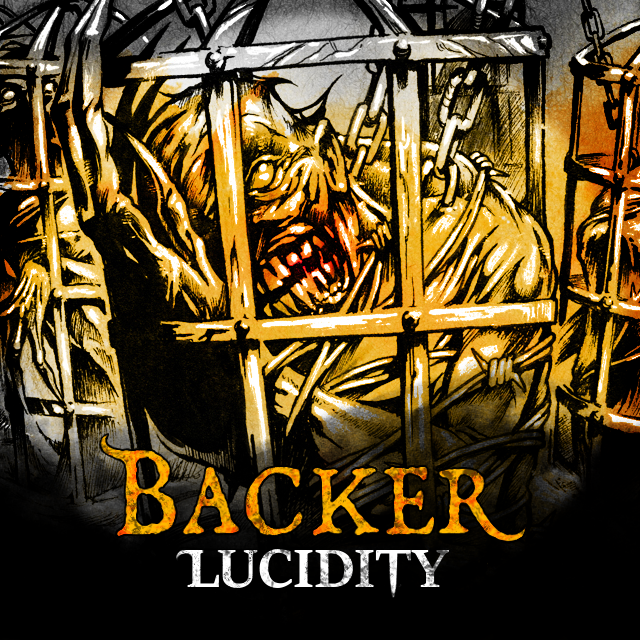 If you want to try it yourself, there are two ways to play Lucidity: Six-sided Nightmares today! Lucidity is live on Tabletopia. By clicking here, you can play in your browser, free of charge, with anybody on the Internet! Print-and-play files (using cards to simulate the dream dice) are available here. Shipping is free. You do not need to pay any extra and there will be no post-campaign charges. Shannon Kelly: A board game designer born in Winnepeg, Canada, now living in Sydney, Australia, who has been creating games in one form or another since he was 10 years old. This is not the first board game he has designed, but this is the first one deserving of your attention. William Webb: An American tattoo artist, the owner of the Evolution Tattoo Studio in Mantua, New Jersey. He began drawing in his early youth, first influenced by his father (an artist and machinist) and then by comic artists such as Simon Bisley and Bernie Wrightson. William's unique style merges a number of influences into something both terrifying and magical. Stephanie Gustafsson: An 8 Year Graphic, Print and Web Designer from Sweden who specialises in board game design and hobby illustration. She currently works full time as a freelance designer and has worked on such beautifully designed games as Coup, New York Slice, and Aeon's End. Tyler Johnson: An American digital and traditional artist, known as 'The Sketchgeek', Tyler has done work for board games such as Ghostel and Legends of Draxia. He will be bringing his Pixar-esque style of illustration to the family-friendly retheming of Lucidity, available as part of the de-lux pledge. 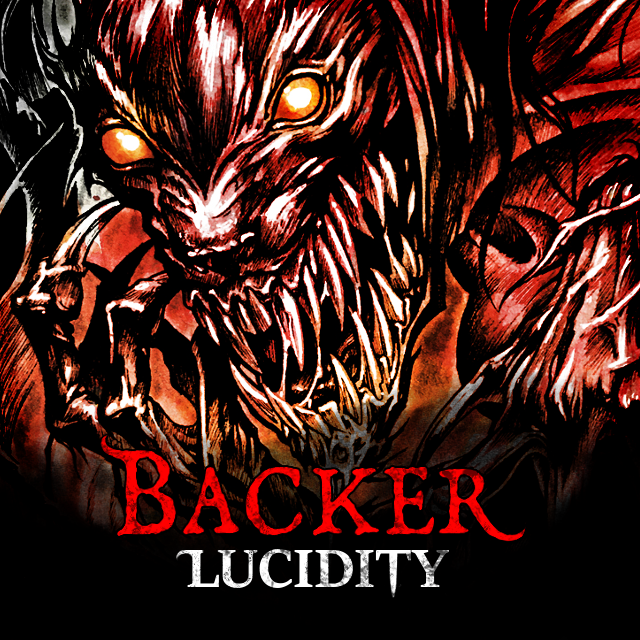 You can use these banners on Kickstarter, Instagram, Facebook or Twitter to show your support for Lucidity. They have been designed to fit within a cropped circle (eg on Kickstarter and Instagram). To use one on Kickstarter, click on it to enlarge it, right click to save it to your computer, click on the bubble in the top right corner of your Kickstarter page and go to Settings > Edit profile. You can upload the avatar to there from your computer (look under "Picture"). As I live in Australia, my campaigns must use Australian dollars (AUD). You might know it better as "monopoly money". Exchange rates are always going up and down, and I have added a buffer to accommodate for currency fluctuations over the course of the campaign. After the campaign concludes, I will convert the AUD to the various currencies they need to be (USD and GBP mostly). That should cover any further risk, short of Australia becoming a dystopic, Mad Maxian world and abandoning plastic money in favour of gasoline and water. A lot of research has gone into achieving the best results for shipping and fulfilment in this campaign. Things can always happen: ships sink or disappear completely; packages get stuck in customs, only to wash up on deserted islands years later; and variations in seasonal freight pricing can lead to drastic increases in shipping costs. I have made sure that this will not prevent you from getting your rewards though. The dice make Lucidity special. Every copy comes with 80 dice, and the main cost of production for this game is four custom dice molds. My manufacturer tells me that, in large runs, hundreds of dice are often thrown out by Quality Assurance due to misprints. These things may take time, which is why I have left all of us a buffer in production times. Follow along with Lucidity updates, ask questions, say hello! One copy of the game, with free shipping! Add AU$29 to your pledge for each additional copy that you would like. One copy of the game, plus lots of amazing goodies to class up your set (see the campaign page for details)! Free shipping (EU, US, Canada, Australian-friendly) included. Add AU$49 to your pledge for each additional De-lux Edition that you would like. Premium box filled with lots of goodies!